As your Financial Services Firm we believe that you deserve a level of personal service that is professional and comprehensive. At our firm, we have the client—and only the client—in mind. Our mission is to get to know and understand your needs, wants, and long-term goals. We want to help you develop, implement, and monitor a strategy that strives to address your individual situation. We aim to provide you with the highest level of personal service and professional skills. 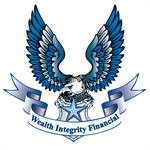 We have chosen the approach of being your financial architect offering ourselves as your single point of reference on all aspects of financial planning services and wealth management. We help you pursue your financial objectives with integrity, passion and a relentless commitment to your goals. We don’t just execute transactions, we build lasting relationships.